Get More Today, when You Buy the Harrisonburg Honda Way! When you’re looking for the best Honda dealer near your home, Look no further than Harrisonburg Honda. We know that you’re going to find everything you need right here. From superior service to superior selection, and a personalized experience, you can have it all; not to mention your favorite Honda vehicle. Visit today and start enjoying the perfect Honda, as well as the best dealership experience around. Have you ever been offered a lifetime warranty on your vehicle? Of course not, automakers know that vehicles have moving parts that eventually wear out, but the Harrisonburg Honda team offers you a limited lifetime warranty on the Honda model that you want. Get behind the wheel of your favorite Honda sedan, SUV, or pickup and we’ll make sure you get everything you need to enjoy every mile to the absolute fullest. You'll also enjoy the ability to brag about the price and the unbeatable warranty that came along with your head-turning Harrisonburg Honda vehicle. If you’re searching for the best Honda dealer near you online, our site offers you every detail you want to know about our diverse selection of new Honda models and high-quality pre-owned vehicles. You can also learn more about our amazing rebates, incentives, and potential savings on every Honda that we sell. Have you recently graduated from college? Are you serving in the military? Ask about the additional savings we offer to recent college graduates and military personnel that will help you have the vehicle you want to drive at a price that’s even more affordable. Our team is here to make it easier for you to get everything you want in your Honda, as well as in your dealership partner. Whether you purchase a new or used vehicle from our team, you’re going to enjoy the fact that our service team is the best around. No matter what you need, from simple maintenance and service to complex engine and collision repairs, our team of Honda-Certified Technicians can do it all. You'll also find that we can operate on your schedule, with convenient hours and fast turnaround times, you can have the job done right, and right on time. While our service department specializes in Honda maintenance and repairs, we're well qualified to work on vehicles of all makes and models. Whether your car came from us or not, it will receive the best care possible. Do you want to drive a new Honda vehicle? Are you looking for the best place to find an affordable used car to drive? Do you want a long warranty to cover the powertrain of your vehicle? The answer to these questions is always "yes" at Harrisonburg Honda. Stop by and let our team get to work today. We’ll help you find the vehicle that offers you the driving features you want, along with the financing you’re looking for. Enjoy the Perfect Driving Experience in Your New Honda Today! With silky-smooth style, fantastic performance, and trusted reliability, Honda vehicles remain among the top of the list when it comes to quality. Now, your new Honda model is as tech-savvy as ever. You can enjoy a host of integrated features to make your life easier and your drive more enjoyable. 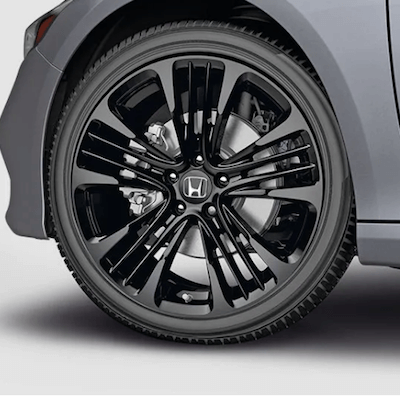 Get even more from your Honda when it comes with lifetime coverage from the dedicated pros at Harrisonburg Honda – the premier Honda dealer near you.